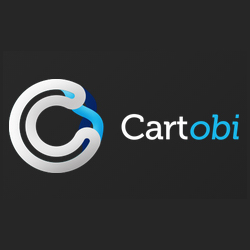 Cartobi is the latest service to be built on the ‘Geosho‘ mapping visualisation platform and provides a set of tools for a Sage One Accounts user to view, filter, select, analyse and report on the physical distribution of Sage One sales and purchase invoices. 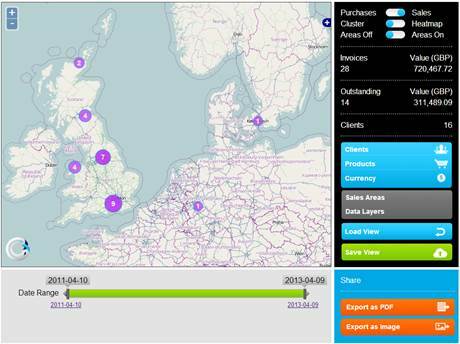 If you sell products nationally (or even further afield) I would definitely check this tool out. There were a number of features that stood out for me. The ability to visually define regional sales boundaries and measure performance against these was very impressive. As was the ease I could overlay other information on my maps such as the location of the competition or the key customers. Paul and his team are extremely proud of how slick and intuitive the experience is and I have to say I agree wholeheartedly with their sentiments. It is a really well designed, innovative service. Since we’ve launched the API I’m seeing a new type of service for the micro business. The cloud is providing an economy of scale whereby tools such as Cartobi, long available to the largest of businesses, are now affordable and available 24/7 to the smallest of businesses. These are genuinely exciting times! (If you’re not yet a Sage One Accounts user, sign up for a free 30 day trial first at http://uk.sageone.com/accounts).